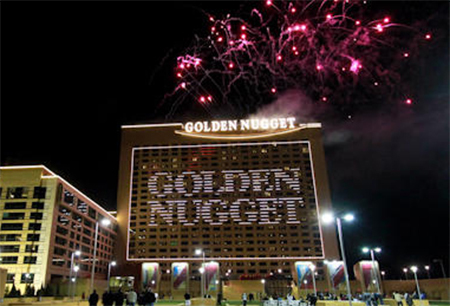 There are rumours circulating that the Golden Nugget Atlantic City casino is considering selling its online gambling rights. After experiencing two years of heavy loses the Golden Nugget Casino may be selling its online gambling rights. The New Jersey Division of Gaming Enforcement recently reported that the casino has experienced operating losses of more than $11 million last year and more than $8 million this year. This comes on top of roughly $145 million in renovations taken on last year so it comes as no surprise that the casino is considering potential buyers. The most obvious option is to sell of the casino’s online gambling rights. The investment bank Houlihan Lokey has approached the casino to either purchase it or the rights to its internet gambling platform. While it is hard to say exactly how much the license may be worth, one analyst has estimated that it could be anywhere from $50 million to $100 million. However, even according to the lowest estimates the casino could be making as much as $17 million a year from online gambling in the near future so the casino’s owner Tilman Fertitta may well decide not to sell. At present the casino has a deal with Bally Technology to supply online gambling.